Toy Box is a transformative package design offering opportunities for creative play for children in the most challenging of circumstances. 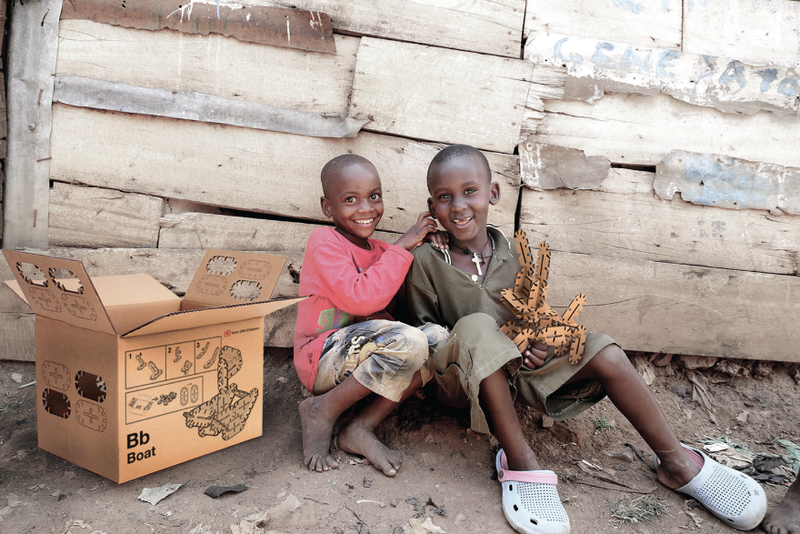 Incorporating an innovative toy function to a simple cardboard box, it is specifically designed for use with existing relief aid cartons delivered by non-governmental organization and charities to developing countries and disaster areas. 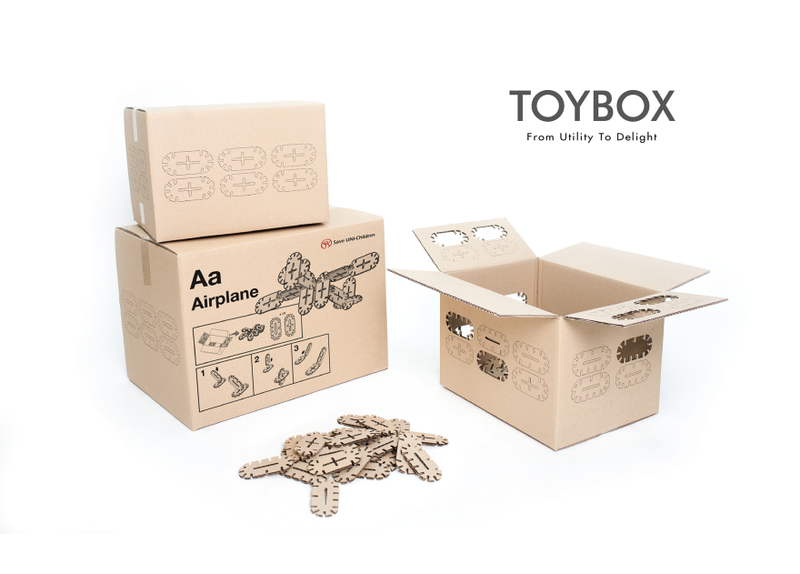 The block pieces incorporated in the Toy Box design can quickly and easily be punched out and detached from the box to be used as a creative construction toy. These pieces are simply joined to one another and freely assembled by the user, with the possibilities of assembly only limited by the child's imagination. The Toy Box design requires minimum cost for production making it particularly suited to its context as intervention to provide emotional relief to the world's poorest children. This is achieved through the innovative re-appropriation of existing aid packaging ubiquitously used by charities and NGOs to distribute aid in disaster hit areas. 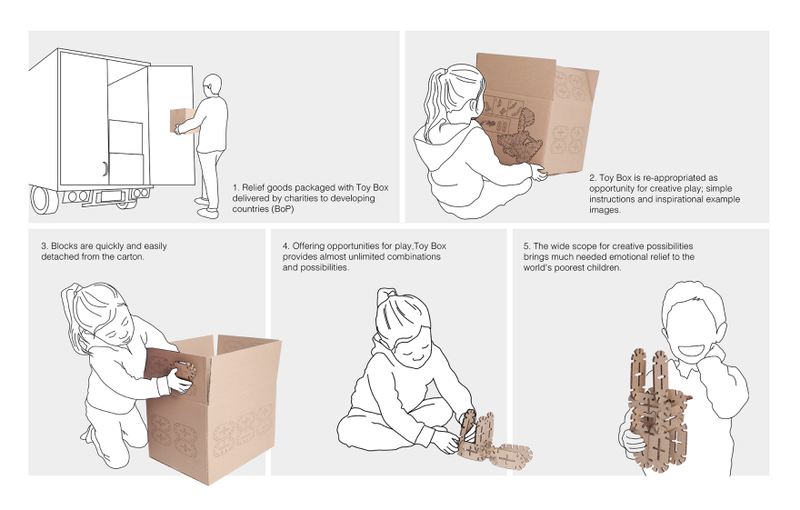 Toy Box is an innovation of meaning in that, through a design-driven innovation-in-use approach, it alters the meaning of an aid carton, from purely utilitarian and largely expendable cardboard box to an opportunity for engagement, play and discovery. In this it has the potential to provide much needed relieve to young hands and minds as they struggle to come to terms with the most difficult of conditions. In 2010, the devastating disaster that struck Haiti took away the homes of over three million people, killing over 220,000 and injuring over 300,000 (Disasters Emergency Committee, 2015). Inevitably, the children of Haiti were worst hit by this disaster, suffering abandonment, homelessness, the loss of friends and loved ones and the devastation of their communities. These children later suffer from various forms of mental and developmental disorders including post-traumatic stress disorder. Originating from a course project, Toy Box is designed to provide the most venerable children from the poorest parts of the world living in the most challenging of circumstances, play opportunities through the innovative re-appropriation of existing aid packaging ubiquitously used by charities and NGOs to distribute relief aid to disaster hit areas in the BoP (Bottom of the Pyramid) context. 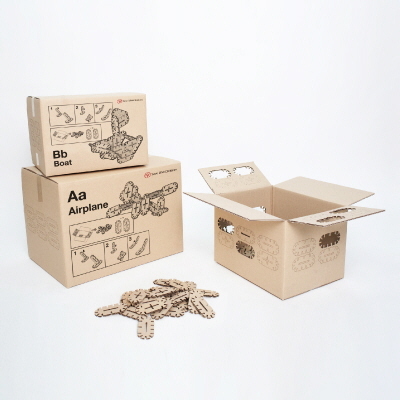 In this Toy Box is an innovation of meaning in that, through a design-driven innovation-in-use approach, it alters the meaning of an aid carton, from purely utilitarian and largely expendable cardboard box to an opportunity for engagement, play and discovery. In this it has the potential to provide much needed relieve to young hands, hearts and minds as they struggle to come to terms with the most challenging of circumstances. The poorest group of the world's population may generally be classified as 'The Bottom of the Pyramid' or BoP. The BoP can be further defined as the established poverty line of people with access to an income of less than two dollar per day. Children living in these circumstances often suffer from the most challenging of conditions, from the frequent occurrence of natural and mane-made disasters, deficiencies in education and a basic lack of opportunities for play with little or no access to toys or other play opportunities. 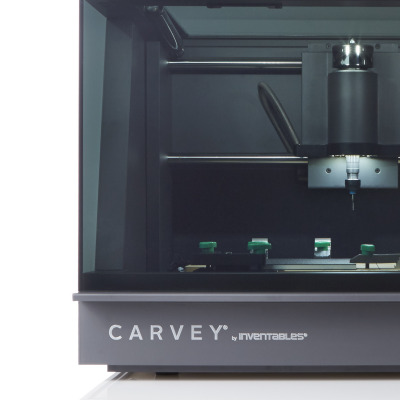 A turning point in BoP design was Eric Schumacher's first introduction of intermediate technology built around five principles: inexpensiveness, low energy consumption, easy to learn, local energy and small batch production (Basu & Weil, 1996). This push for design interventions focused on the world's most disadvantaged has also be termed, "design for the other 90%", with an exhibition at New York's Cooper-Hewitt National Design Museum and related publication by the Smithsonian Institution (Smithsonian, 2007). Regardless of the title, there have been numerous attempts to adopt a design-driven approach to relieve the problems of poverty and improve the lives of people in the BoP context. Design for the BoP context has now entered a new phase in that it has started to take stock of and evaluate the effectiveness and achievement of past works. Paul Polak, a scholar and practitioner in the area of appropriate technology, has appraised the movement of designing for the BOP as inspirational to the public, but failing in its core aim of significant change in the lives of the world's poorest with only a few exceptions, simply because solutions and interventions lacked practicality (Polak, 2010). As such, designers are now required to be more rigorous in their understanding of the context of the BOP to provide more practical solutions through greater contextual understanding. 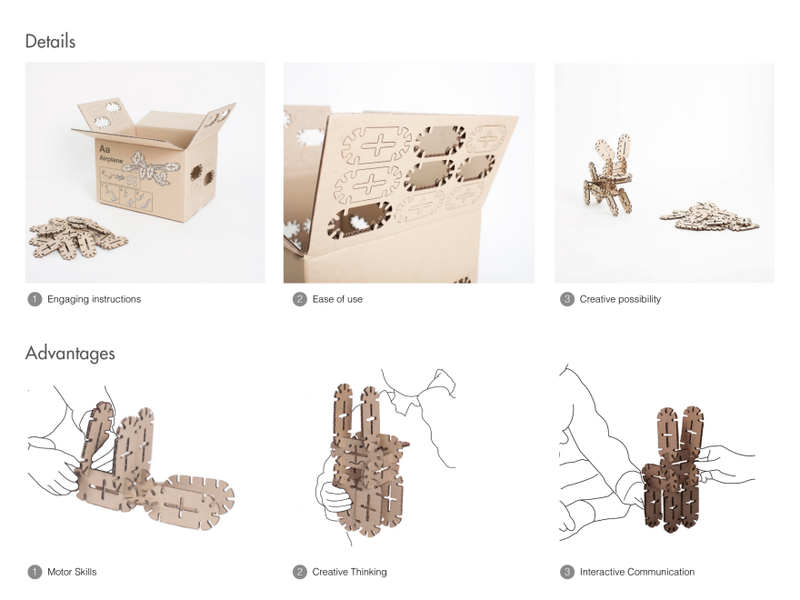 In this way the Toy Box project presented to the Core77 design awards has applied the Principles of Intermediate technology presented in Figure 4 to drive the conceptual design and development of a more appropriate design solution (inexpensive, low energy consumption, ease of learning), effectively repurposing existing aid relief packaging to a new use. In this we adopt a mode-of-use innovation strategy to add value to the lives of deprived children in the most challenging BoP contexts. Mode-of-use innovation is a term used to describe an important lever in the design-driven innovation process (Rampino, 2011). A mode-of-use innovation strategy aims to create new meaning through adding to and/or modifying the function and/or use of an existing product. 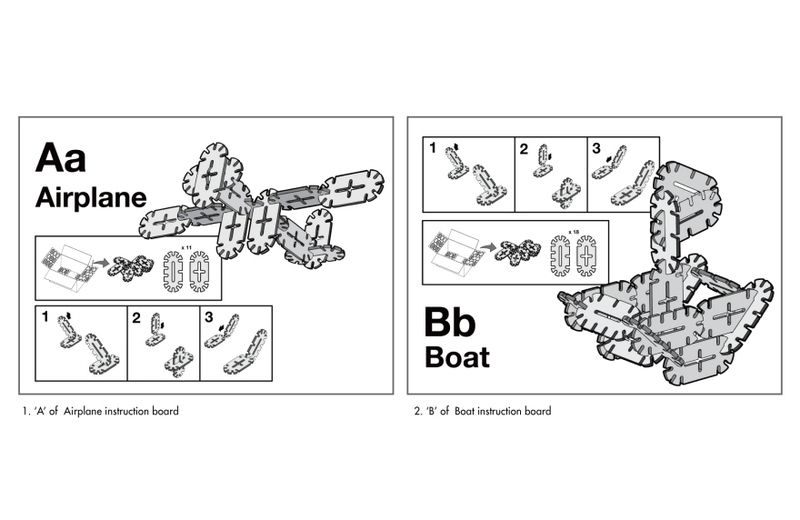 For the Toy Box project submitted to Core77, we have focused our attention upon modification of use, to provide new meaning to the product for the benefit of the user. 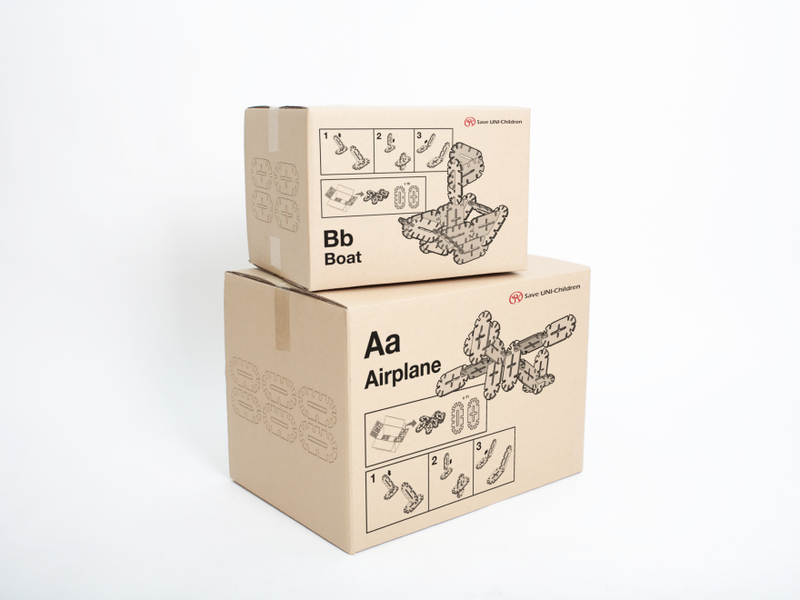 Adopting a design-driven approach, product packaging, used so ubiquitously by aid organisations and NGOs to deliver much needed relief aid to disaster areas in the BoP context, has been re-purposed to change what it means to be an aid box. Rather than a pure utilitarian function, Toy Box offers opportunities for creative for the emotional relief of children in the most challenging of circumstances. In this way Toy Box effectively alters what it means to be a relief aid box, from a purely utilitarian product to a provider of play, stimulation and discovery; thereby bringing relief to young hands and minds. Thus, our innovative Toy Box concept has the potential to provide an inexpensive intervention for children in the most challenging of circumstances. 1. The design involved modification of prior use and/or function to add new use and/or function. 2. The new use and/or function add value for the specific user. 3. The design involves the re-appropriation of available resources/products/materials. 4. The design is easily learnable for children aged 5 through 11 within the BoP context. 5. 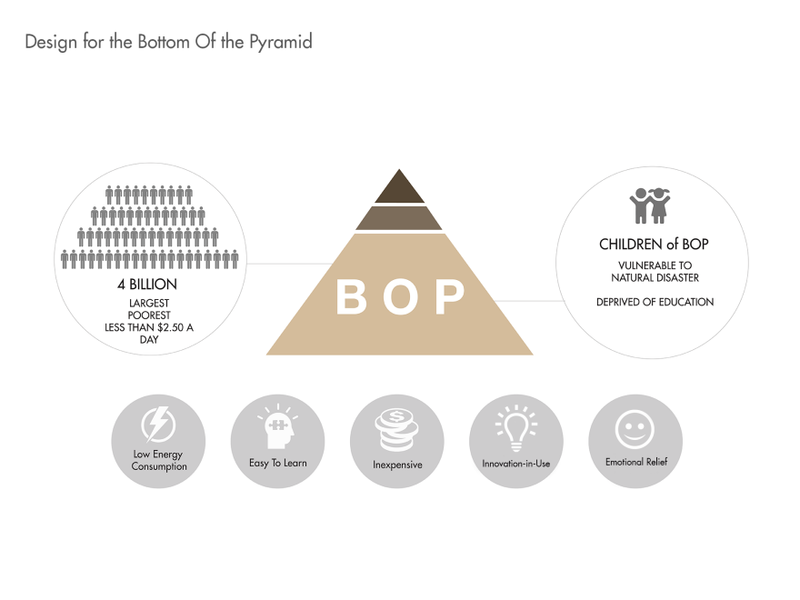 The result of the innovation-in-use responds to and takes consideration for the unique requirements of the BoP context. Prototyping was undertaken to further develop the Toy Box concept and provide opportunities for initial user tests and refinements. 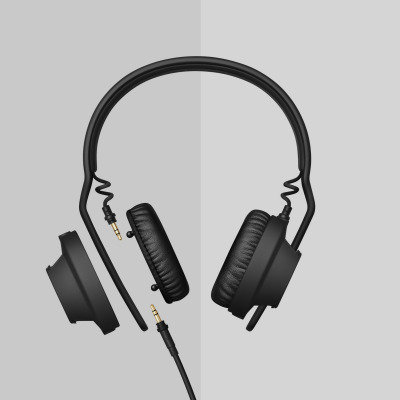 Through an iterative process of prototyping, revision, refinement and further development, the design has been revised to its current stage of development as a high fidelity prototype expressing the form, aesthetic and function details of the intended design. For the material of the packaging carton, double-sided corrugated cardboard was selected with reference to the guidelines for foreign aid packaging published by Red Cross Korea. Laser cutting was used to process the corrugated cardboard material for its accuracy and ability to perforate the board. Through an iterative process of trial and error, the student design team progressed the detail of the design including revisions to the blocks and their positioning on the carton. The instructions for use were also revised extensively to provide the most engaging imagery within the constraints of economy of printing and production costs. The final prototypes offer the expression and communication of Toy Box to a high level of detail and fidelity. In this they provide opportunities for user interaction and define, in detail, the potential of Toy Box as an innovative intervention in the BoP context. For the future we are now actively seeking the involvement of aid organizations and NGOs to fund the further development of Toy Box with a view to commercialise the design for application in the aid relief packaging used by charity and relief organizations worldwide. In this we envision a not-for-profit venture to support the development and manufacture of Toy Box cartons for use, at cost, by aid and other non-commercial organizations. Innovative packaging for a good cause, love how the packaging can be delivered easily to the children to bring emotional relief. 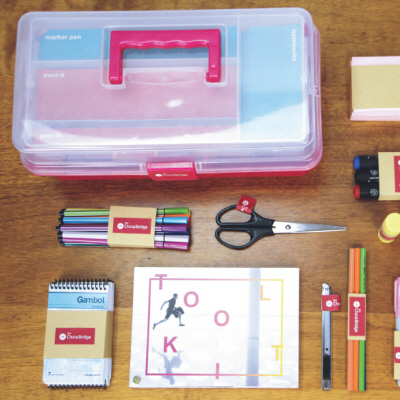 Great idea for transformative package design and very creative that children can play with package. We all loved the brilliant use of an already existing system and deliver mechanism to deliver even more to communities in need. We felt that aesthetically it was well executed and a great idea.